Light road bike frame that can accommodate 700 x 32 tires? Thread: Light road bike frame that can accommodate 700 x 32 tires? Accepting disc brakes will really make this a lot easier. Pretty much any endurance road bike (many of which manufacturers will happily sell you as a frame) will accept 32mm tires. For example, my '19 Defy Advanced Pro 0 can actually fit 35s (despite it being advertised as only fitting 32s) with some room to spare. Another huge set of options are gravel bikes. Everyone is making these with a wide variety of geometries and niches they're trying to hit. The less adventure-y gravel bikes like the Checkpoint can easily keep up on a group road ride and can fit massive tires. The new Salsa Warroad might be right up your alley as well. Another good entry is the Cannondale Topstone. It comes with 40mm gravel tires, but if you want to do mostly road riding, you can easily put 32-36mm slicks on it and it will cruise just fine with the roadies. It looks like it even has a threaded BB! I think he was looking for a non-disc brake bike that takes 32mm tires. I don't think one exists anymore. When you get bigger than 28mm it's usually not the frame that limits your choice, it's the rim brake calipers. 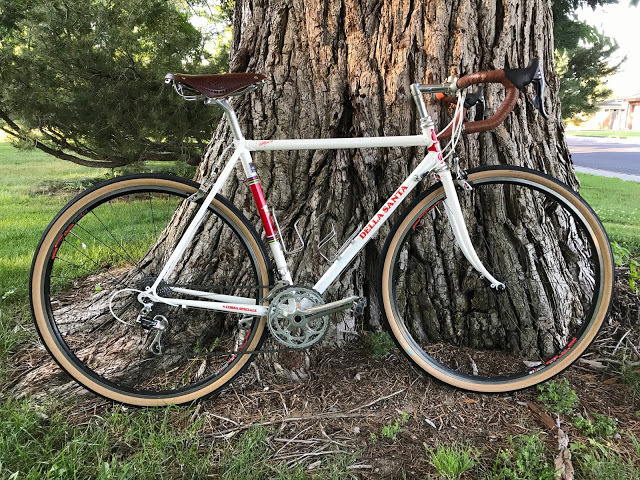 Hampsten Strada Bianca would fit the bill for big tires and caliper rim brakes, but far from cheap. Just fit 43 mm Panaracers on my cross bike (with v-brakes). I've also fit 38 mm Panaracers on my two commuter bikes, which have fenders. They're also both cross frames with v-brakes. My three road bikes (LOOK, Casati, Tommasini) with caliper brakes can only fit 28 mm tires. My Campagnolo Delta calipers on my Tommasini limit the tire size, not the frame itself. Last edited by nayr497; 1 Week Ago at 07:21 AM. Reason: sp. Or the Max with room for 35mm tires. And while not cheap, $2700\2800 hand made steel frame is fairly reasonable. There are bikes being built with room for larger tires and caliper brakes, you just gotta be willing to shop for something other than the main stays(Giant, Trek, Specialized, blah, blah, blah). Betting you'd have to deflate the tire to get the wheel out of those brakes. Velo Orange Grand Cru Long Reach or Tektro R559 are dual pivot long reach brakes that'll work or Dia Comp 610's are center pull that's work. Or there are plenty of Mafac racer center pulls to be found that'll easily clear 32's and if larger tires are wanted old Mafac Raids or new production Compass center pulls will easily work with 42mm tires and fenders. Maybe larger tires without fenders. No deflating of tires with any of the center pulls and probably not with the dual pivots mentioned here either. All these brakes will mount same as any other caliper brake on the fork crown and brake bridge. 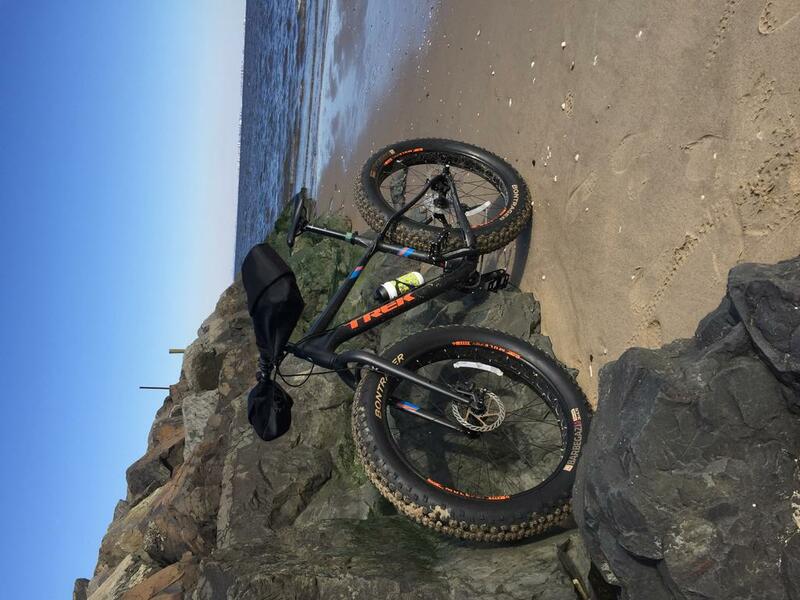 If I woulda been wise to large volume tires when I got my Della Santa I would have gladly had it built with clearances for 32's, happily deflating the tire to get the wheel on or off the bike if needed be. But, alas, I was happy on 23's at that time so didn't think to go for larger clearances. I think about that every time I ride it on those 25's which are about as large as will fit. See the July,2,2017 link in the archives. Last edited by velodog; 1 Week Ago at 11:56 AM. Looking at my 2014 Synapse Carbon, I see what you're saying. I'm using 28mm tires and right now, the closest clearance is the chain stays. However, there isn't exactly a football field of clearance under the rear brake caliper either. Looks like Campagnolo tension release at the lever combined with a second one at the caliper-that'll do it. I don't think V-brakes will work with STI shifters. Will the shifters pull enough cable for V-brakes to work properly? I'm not much of a cantilever or V brake kinda guy so I'm not really sure, but I am a centerpull kind of guy and know that they work with my Campagnolo 11spd shifters. Maybe nayr497 knows, he's running V brakes. Centerpulls mount higher on the fork reducing the chance of brake judder that can be had with cantilevers. What kind of brake levers you using with those V brakes? Lombard wants to know if STI has enough cable pull. But nobody makes caliper brakes that'll work with that wheel\tire combination. I know cantilever brakes work with STI shifters. Normal size mtb V-brakes don't work well w/ road shifters. Some of the 'mini-V's will. Road levers generally have too much leverage and not enough cable pull. There sort of the opposite of what a V-brake needs. Normal size mtb V-brakes don't work well w/ road shifters. Some of the 'mini-V's will. Road levers generally have too much leverage and not enough cable pull. There sort of the opposite of what a V-brake needs. This is what I've always understood. Do the pulleys with the extra cable loop like QBP's travel agent actually work for road lever/V-brake setups? Well well... Looks like we're back into "the do all be everything bike"
Last edited by rudge66; 6 Days Ago at 02:03 PM. Proposal to make River Road one-way to accommodate bicycles.